The Sierra Club, the nation’s largest environmental organization, last week announced a new partnership with Sungevity, one of the country’s leading residential solar providers, to help families switch to solar easily and affordably. The new program will help consumers save money on electricity bills, reduce pollution and support the Sierra Club’s overall environmental mission, all at the same time. 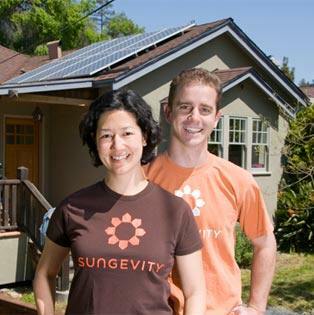 Through the partnership, each time someone takes advantage of Sungevity’s “Zero Down” solar roofing program, that person will receive a $750 cash gift card and Sungevity will contribute $750 to the Sierra Club. If you live in any of the states Sungevity services—Arizona, California, Colorado, Connecticut, Maryland, Massachusetts, or New York— you can create a win-win-win situation as a new residential solar customer by visiting www.sierraclub.org/gosolar. With many Americans still struggling in today’s economy, it has become harder for consumers to prioritize efforts like reducing pollution and supporting their favorite non-profits, while simultaneously saving money. Through the Solar Homes partnership, Sierra Club and Sungevity allow Sierra Club supporters to accomplish all three by adding residential solar panels to their homes. Going solar can help consumers save money on their electricity bills. For example, Sungevity found that on average, customers can save up to 15% on electricity costs from day one when they go solar. Under the solar leasing plan, homeowners can ‘rent their rooftop,’ allowing them to save money on their electric bills by paying Sungevity directly, without any upfront costs, financing, installation, and maintenance. Rooftop solar also helps people protect the planet by reducing pollution: every kilowatt hour of solar generated replaces electricity that might come from dirty fossil fuels like coal.